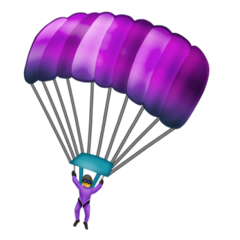 🪂 is an emoji featuring a parachute. It was introduced with Unicode 12.0 in 2019. 🪁 is an emoji featuring a kite. It was approved with Unicode 12.0 in 2019.